The most commonly cited reasons for people migrating from Africa to Europe revolve around the search for economic opportunity and jobs. There is, however, an increasing realization that migration often involves a mixture of motivations and that the term “economic migrant” does an injustice to the individual, who may have taken to the road because of a number of different factors. 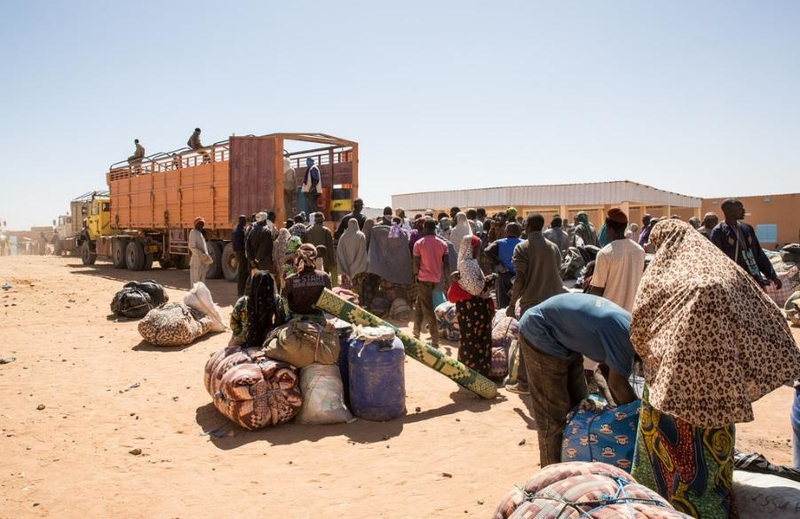 One issue frequently raised by migrants whom I have met in transit (most recently in Agadez, Niger) is the absence of a level playing field in their home country. Without knowing the right people, being from the right community or having the money to buy their way into a job, they will never get ahead. This, in turn, is part of the broader problem of poor governance, which has resulted in everything from a sharp drop in the quality of education and other services; to investment in sectors that lead to impressive GDP growth indicators, but result in little by way of job creation. While an increasing number of countries across Africa are holding free and fair elections, democratically elected governments have yet to prove themselves truly responsive to the needs of vast swathes of the population. In countries where there is already a tradition of migration, for many, voting with one’s feet can appear more effective than a trip to the ballot box. The Gambia currently provides an interesting case study. By proportion of its population, Gambia has - by some distance - the largest outbound migration in West Africa: nine times more Gambians leave their country than nationals of Senegal or Nigeria . While its economic situation was similar to that of neighbouring countries, for many years Gambia had a particularly repressive and corrupt government. Former President Jammeh lost last year’s free and fair presidential election in a result that took all observers by surprise. Then, after some hiccups and lengthy negotiations with other regional leaders, a peaceful transfer of power took place in January. I spoke with a number of young Gambians when I visited Banjul in early June. They overwhelmingly said they wanted to give the new government a chance and some had put their migration projects on hold. It is still too soon to analyse existing data to determine if there has indeed been a drop in emigration, but the real challenge will be to see if an eventual reduction in emigration can be sustained. In meetings with senior government representatives during my visit, genuine concern was voiced about the numbers of youth emigrating, both in terms of the loss of human capital and because of the considerable numbers of young men – and some women – losing their lives in the desert or at sea. There was also recognition that young people need to be consulted to find out what is making them leave their homeland beyond the absence of employment opportunities. The new Gambian government is enjoying considerable support from international partners and while its lack of experience is a challenge to effective governance, there is certainly the will to establish the transparency and accountability that has been lacking in the past. It will, therefore, be interesting in the coming months to monitor developments in governance while tracking migration trends. There has been relatively little research on the issue of poor governance as a driver of migration. A recently published study by GIZ specifically examining the link between corruption and migration and forced displacement is a rare example of research into this sensitive subject. One of the study’s recommendations is the need to support transparent and fair recruitment systems. My interviews with migrants certainly support this recommendation and it is important to note that a considerable number of West Africa’s migrants have the qualifications for decent jobs. An International Organization for Migration (IOM) sampling of West African migrants arriving in Italy in the second half of 2016 indicate that some 6% have tertiary education, 44% secondary and only 11% claim to have no education at all. The World Economic Forum’s Global Future Council on Migration has been looking at barriers to African talent mobility . An initial assessment of visa and work permit requirements demonstrates the often considerable obstacles that qualified Africans face when applying to work in another country. These include the absence of published information on visa requirements; inconsistencies in requirements among different embassies of the same country; lengthy processing times and sometimes too much discretionary power on the part of immigration officers. This lack of transparency is a hallmark of poor governance. If these visa and work permit regimes had more clarity, how many of the estimated 6,000 highly educated migrants, who risked their lives crossing the Sahara and Mediterranean in 2016, might have opted for employment in a country that could have been accessed safely and with full documentation? The concept of poor governance is very broad and can cover a multitude of areas of mismanagement or criminal activity horizontally across sectors and vertically across levels of management. Indonesians for example talk of KKN: the Bahasa acronym for Corruption, Collusion and Nepotism. It might perhaps be more useful to explain what is meant by good governance and here we can refer to Sustainable Development Goal (SDG) 16 : “Promote peaceful and inclusive societies for sustainable development, provide access to justice for all and build effective, accountable and inclusive institutions at all levels.” More specifically 16.5, 16.6 and 16.7; address corruption, transparency and accountability, and inclusiveness and participation. As for the link to migration, the New York Declaration for Refugees and Migrants refers to the promotion of the rule of law and the need to address marginalization and exclusion. It also refers to the SDGs and the promotion of peaceful and inclusive societies, carefully sidestepping any mention of KKN or related abuses. Yet if we are to create a truly new and effective global migration framework there is a need for the Global Compact on Migration to include explicit reference to these issues. Let it not be said that this is a problem affecting developing countries only. Such abuse of power exists across much of the world, often affecting migrants who are always among the most vulnerable to discrimination whether official or unofficial. In much of West Africa today, just as with Gambia, there is a growing recognition of the need to stem irregular migration. Increasingly development projects are linked to migration management objectives, but economic development and job creation will not stem the flow unless accompanied by effective, accountable and inclusive governance and a society that gives them a fair chance. Whether migrants will find a society that treats them more fairly if they succeed in making it to Europe is another question, but not one that migrants will be asking themselves as they continue to vote with their feet.